Today, there's virtually no industry that hasn't been revolutionized by technology. But Wall Street, in particular, lives and breathes by computing advances that can shave milliseconds off a trade. 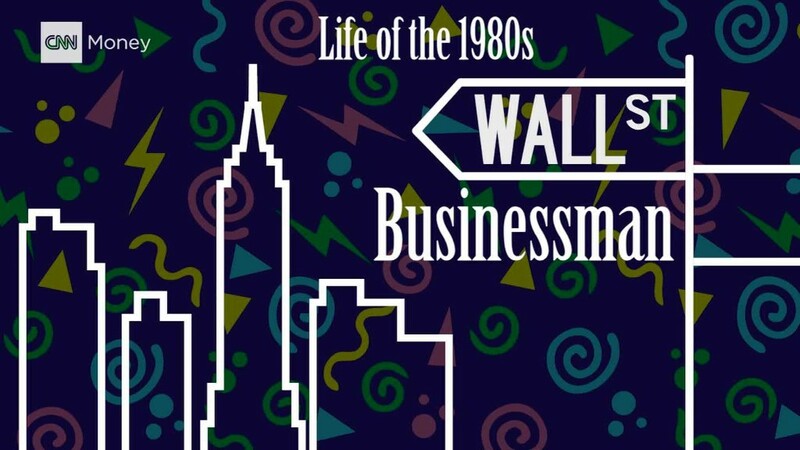 In the 1980s, the Wall Street businessman was just starting to get a taste of how his world would be flipped upside down by technology. We've compiled a list of some of the most cutting-edge technology of the time ... with a few of the decade's questionable fashion choices, just for fun. 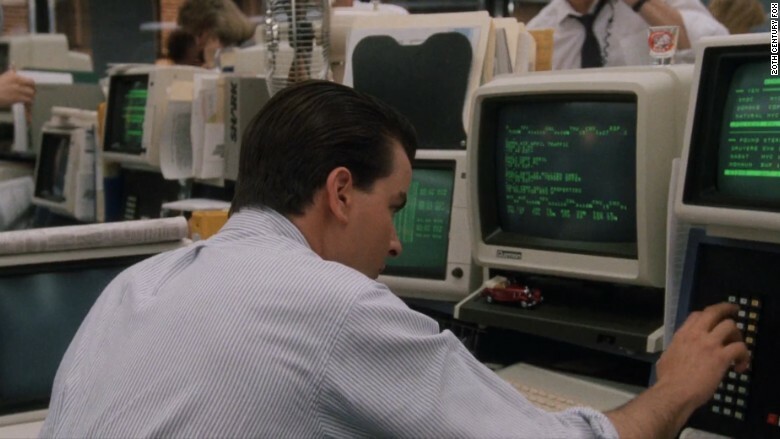 A Quotron machine as seen in the 1987 film "Wall Street." The Quotron terminal was invented in 1960, but it wasn't until the '80s that the machines began to take off. Its goal was to replace printed stock ticker tape with an electronic screen. Think of it as an early version of today's Bloomberg Terminal. Quotron was bought by Citicorp in 1986 and then acquired by Reuters nearly eight years later. The Quotron machine is the predecessor to today's Reuters trading platforms, popular in the U.K. The first wireless facsimile transmission was demonstrated as early as the 1920s by RCA. The technology was refined over the years, but exorbitant prices stunted its growth. 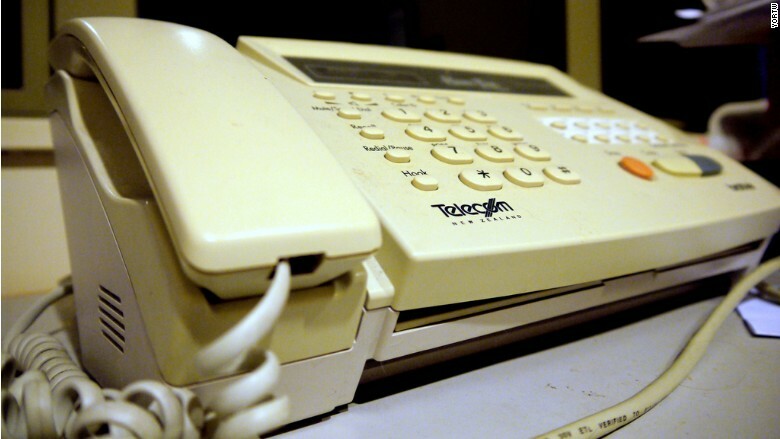 In 1980, some fax machines sold for as much as $15,000, but prices fell drastically by the end of the decade. A 1989 edition of the Radio Shack catalog that sold the "TandyFax 1000" for $1,299. If, for some inexplicable reason you wanted to buy a fax machine today, Best Buy (BBY) sells one for as low as $40. Floppy suits were a staple of the '80s, and double-breasted Armanis were the ones to have. 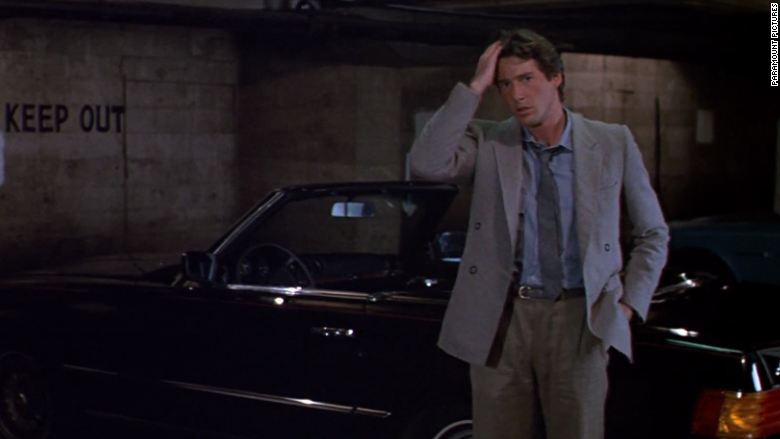 Bloomingdale's says the style's popularity is often attributed to the 1980 film "American Gigolo," where Richard Gere wears loose-fitting business suits from the Italian designer. News articles from the decade reference a particular Armani suit going for $715 -- around $1,500 today. 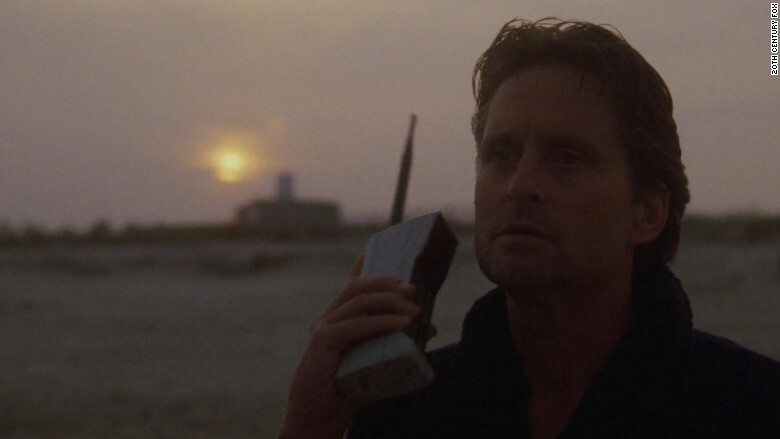 Gordon Gekko (Michael Douglas) using a Motorola DynaTac 8000X in 1987's "Wall Street." The Motorola DynaTac 8000X was the first consumer cellphone. It went on sale in March 1984 for $3,995 (more than $9,000 today), initially limiting the device to the wealthy. The phone, often referred to mockingly as a "brick," weighed nearly two pounds, took ten hours to charge, and provided a meager thirty minutes of talk time. It was Armani suits at work, but on the weekends, it was Hamptons chic. 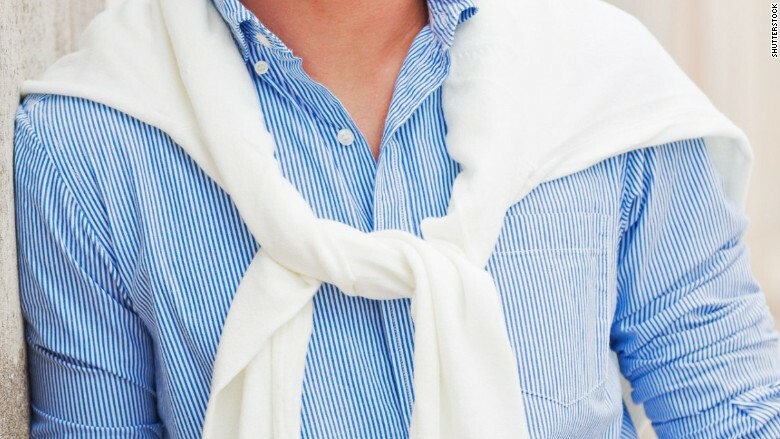 Bloomingdale's said the hottest sellers for businessmen were Lacoste shirts, cashmere sweaters (worn around the neck, of course), plaid shorts and Sperry Topsiders. While hardware like the Quotron and the fax machine were bringing sweeping changes to workplace efficiency, software was also having its day in the sun. Word Perfect was introduced in 1980 and soon dominated the market. Its reign didn't last forever, though, as Microsoft Word became increasingly popular and eventually made Word Perfect obsolete. The software still exists today, but you'd be hard-pressed to find someone using it. Lotus 1-2-3 is another program relegated to obscurity by Microsoft (MSFT). Introduced in 1983, it was the first popular spreadsheet editor, again becoming a standard through the '80s and into the '90s. But like Word Perfect, it soon lost market share to Microsoft Excel. Lotus was purchased by IBM (IBM) in 1995, but the software had already lost too much ground. 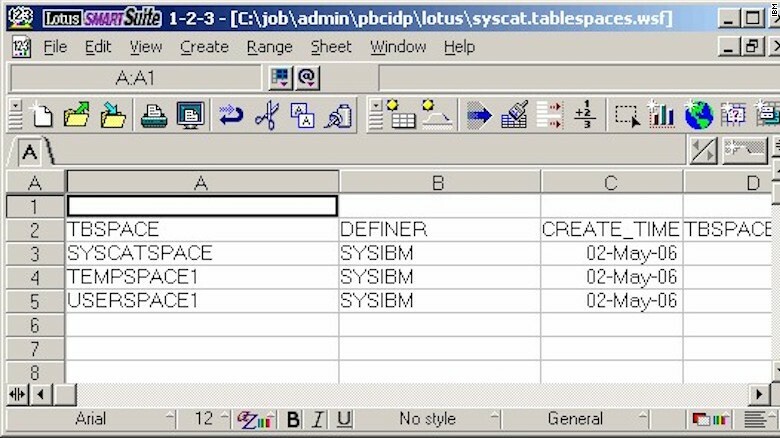 IBM officially killed off Lotus 1-2-3 in 2013.